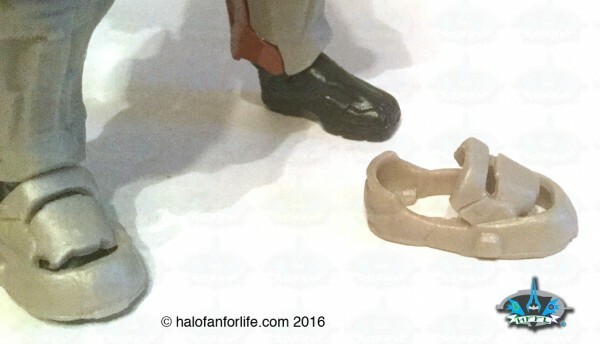 This is the first we’ve seen of Linda in action figure form. As with the Master Chief figures I previously reviewed, the box art is good. 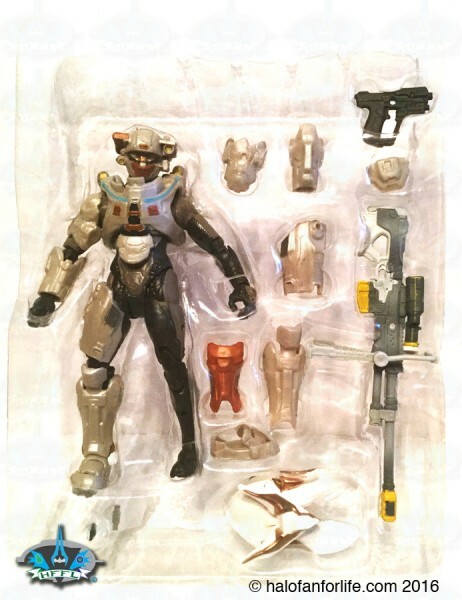 The large window display on the front of the box shows the figure, armor pieces, and accessories nicely. 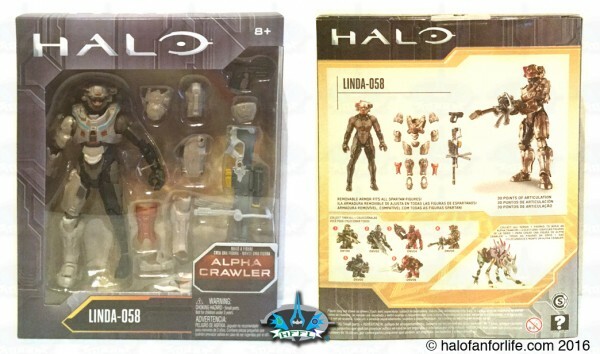 On the back of the box, you see the rest of the figures in the series as well as the completedn Alpha Crawler. Linda comes with the head of the crawler. 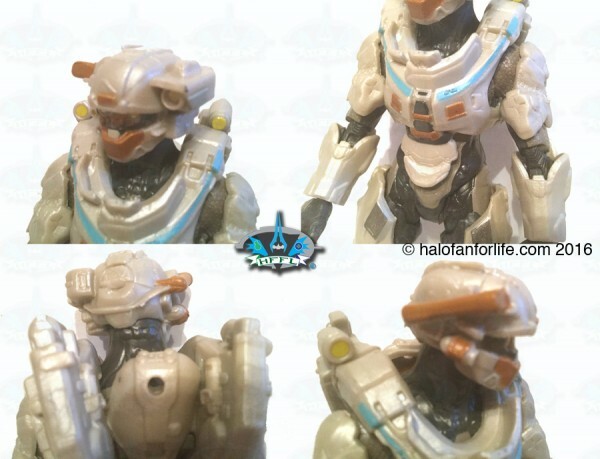 Of note, there are TWO other figures in series one Mattel halo figures not pictured. A close up shot of the back of the box, showing linda sans-armor. As you can see, the armor is removable. in the pic below, the thigh armor is attached by slipping it around the thigh and having the small peg inserted into the figure’s thigh hole. The buttplate is removable too. 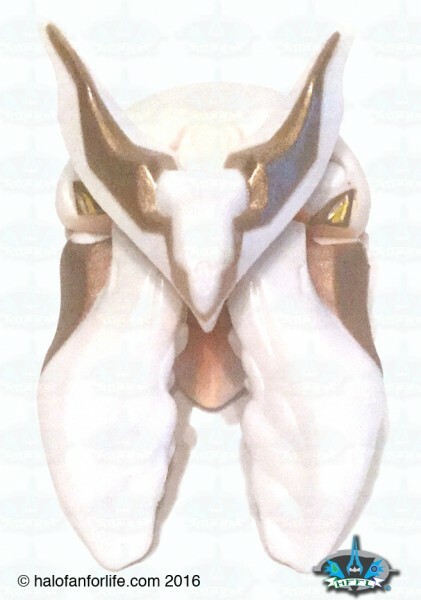 Strangely enough, I actually got TWO buttplates with this figure. The second one was already attached. The calf armor is in two pieces. You attach it similarly as you would the thigh armor. Be sure to get a good fit and press tight to avoid showing a gap in the armor. The foot armor slips on like a shoe. Oh, that beautiful Nornfang! I’m VERY happy this was included. Linda’s personal sniper rifle of choice. 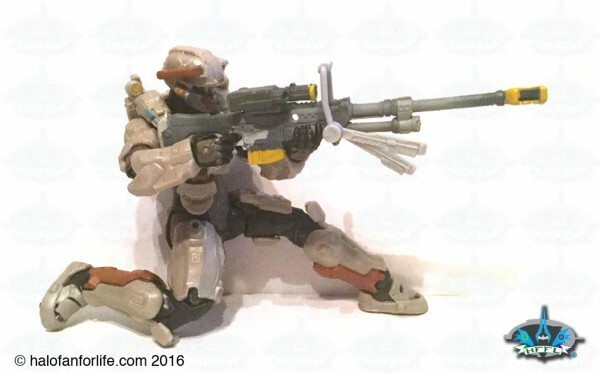 The figure can hold the weapon with two hands very well. No droop! And just look at the detail! A wolf put right into the design of the weapon in-game makes it’s way to the toy! Superb!! In the pic, you see the hole between the shoulders. This is meant for a pin to attach to, in which you can attach the sniper to Linda’s back. 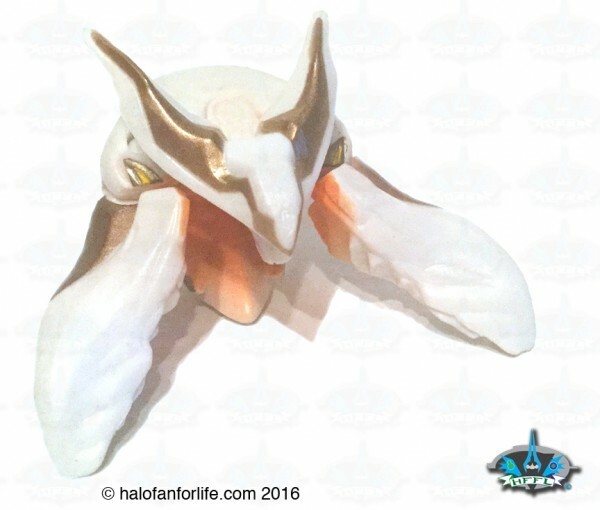 As well, each thigh armor comes with a hole near the top of it to insert a smaller pin so you can stow the magnum there. 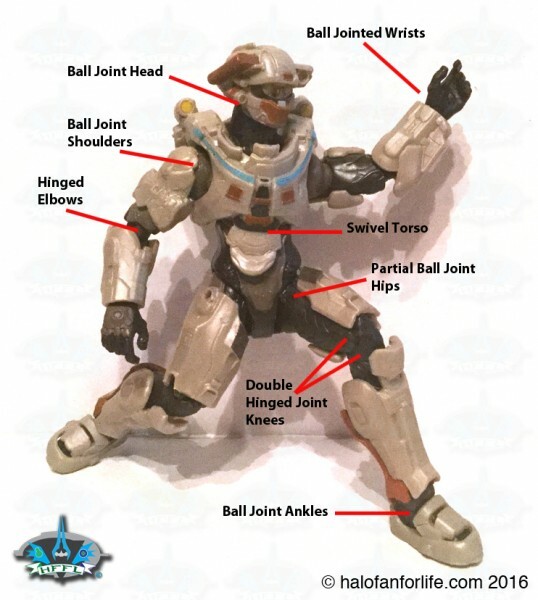 The hand design for this figure was well done. It can hold both the sniper and magnum with ease and no funky position, which was unfortunately the case with the previous licensee’s figures some of the time. Four views of the standing Linda figures. Let’s have a look at some of the detail here. The helmet is really nicely sculpted. 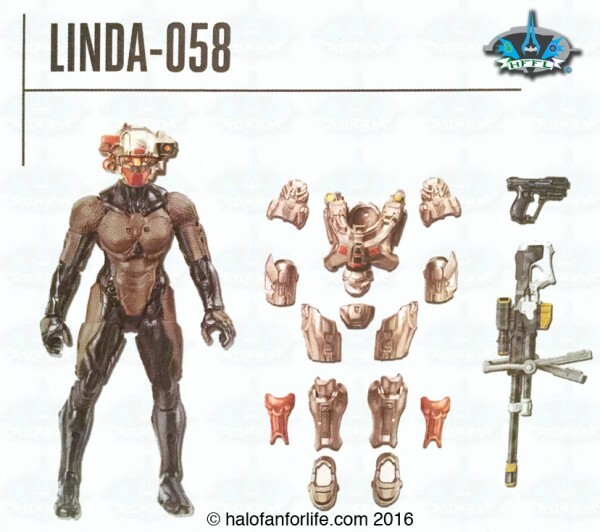 The torso armor has a good paint application to it and also includes the braille numbers for Linda’s Spartan number, 058. The crawler head is a bit large. I haven’t looked that closely to in-game Crawlers to check for accuray though, so the size could be right. As for the color though, I’m not so much a fan of a white cralwer, when all the others ones we’ve seen have been grey/silver. Not only can Linda hold the magnum easily, but with two hands nonetheless! I asm super impressed with the articulation of this figure. This shot makes it look like Linda is looking right down the scope! Speaking of articualtion, here is what the figures has. Sculpt: Very well done. 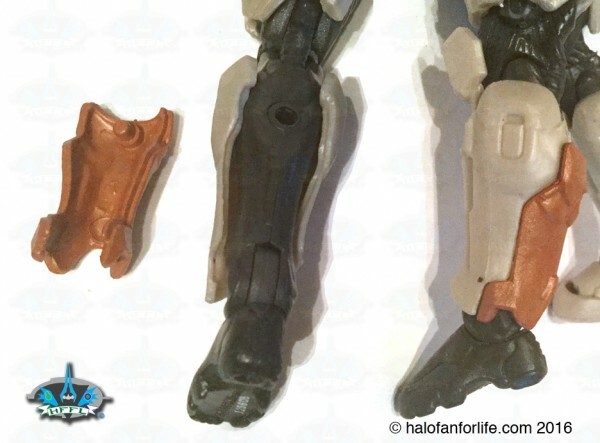 The thigh armor pieces do not completely wrap around the thigh, so there is a gap at the inner thigh. 9 of 10 medals. Articulation: Great articualtion allows for Linda to be posed in some great sniping positions! A SUPER plus for this figure!! 10 of 10 medals. Paint Application: The paint is good here. 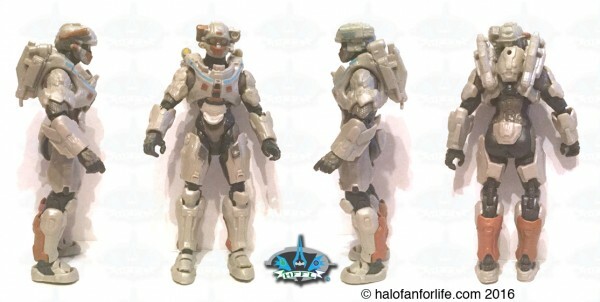 The armor does have a little bit of a metallic sheen, so this makes it better than the armor from Mattel’s Master Chief figure. It still looks plastic, but better. And again, it IS a toy! 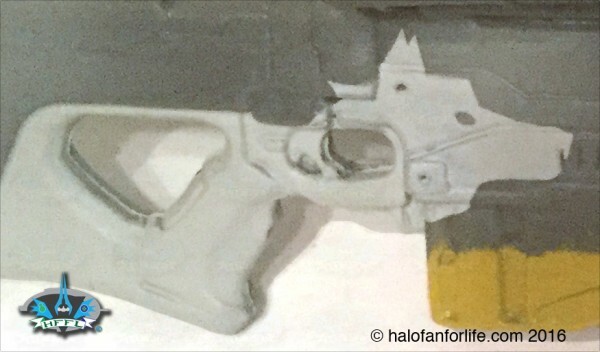 The Nornfang’s paint application is well done. 10 of 10 medals. Overall: 49 medals out of a total 50 medals. Do I recommend this product? YES! 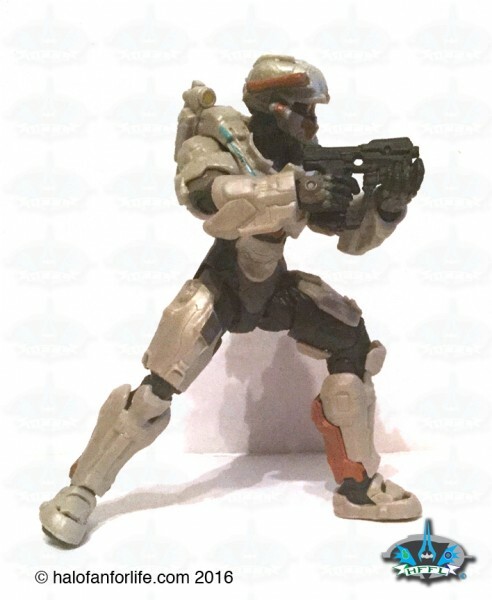 For the first series of the Mattel Halo Action Figures, they did an EXCELLENT job making a Spartan Linda figure. I was a little concerned about anotehr toy company taking over after McFarlane Toys. After all, McFarlane had the license for years and made many excellent figures in that time. I can say with confidence that the license is in good hands with Mattel. They are after all a toy company. Some worries that other people had about the sculpt of the figures, were unfounded. I’m really happy with the sculpting here.